Heroes: Grand Hero Battle: Linus! 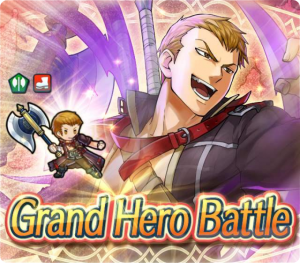 Another member of the Black Fang from Blazing Sword has just arrived in Fire Emblem Heroes! Prepare a team and do your best to defeat the Mad Dog himself in Grand Hero Battle: Linus. Differentiating himself from his brother, Linus is a green unit, wielding the axe Basilikos. Defeat his map on all three difficulties to earn three copies of him, one 3★ and two 4★, as well as 2,000 Hero Feathers. Check out his Infernal difficulty stats and skills, as well as the Infernal map layout, below. Grand Hero Battle: Linus will be around for about a week, ending on 19 June. For more information about upcoming events, check out the recently released June & July Event Calendar. Looks viable now, but I’m sure reinforcements won’t stop coming. And this is the map after the water temple… Lloyd dying first = canon. To be fair it makes more sense. Lloyd should be the more reasonable one, willing to listen to Eliwood. And a sudden outrage and refusing to listen to Nino is far more like Linus too. 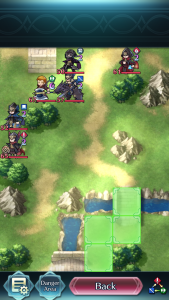 This is a very easy GHB. Both Hard and Lunatic I beat in my first tries, and in the second try on Infernal because I made a mistake in my first attempt. 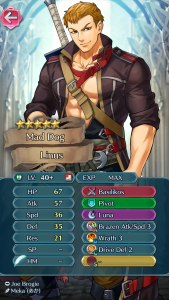 Thanks IS for the easy 3 Linus and 2000 feathers. For me, Linus will be like Male Kana… a unit I don’t plan to use as fodder and I will keep every single copy of him with the hope of getting him with many merges possible. I see Snoopy finally stole his blanket.